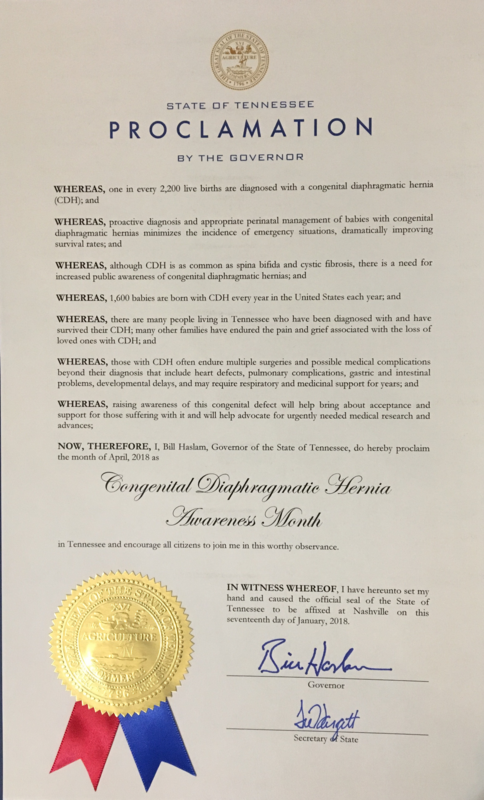 The governor of the state of Tennessee has proclaimed that April, 2018 be a month that citizens of the state to recognize and raise awareness of Congenital Diaphragmatic Hernia. Join us in raising awareness on CDH Awareness Day, April 19th, and all month long. 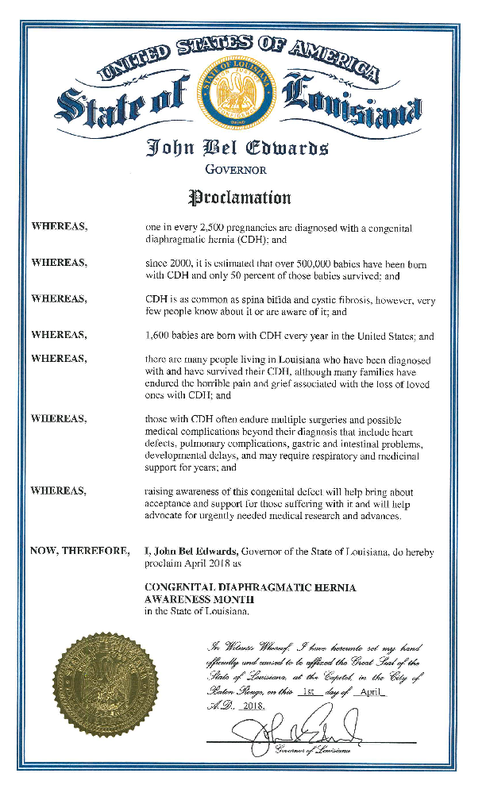 The governor of the state of Louisiana has proclaimed that April, 2018 be a month that citizens of the state to recognize and raise awareness of Congenital Diaphragmatic Hernia. Join us in raising awareness on CDH Awareness Day, April 19th, and all month long. 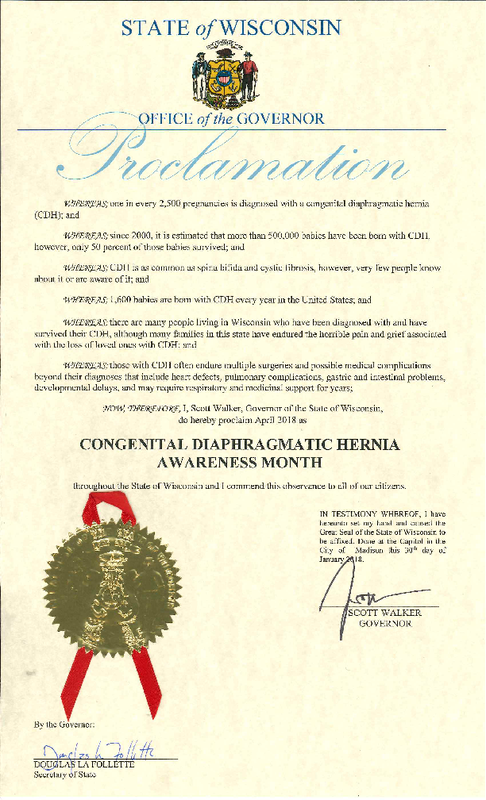 The governor of the state of Wisconsin has proclaimed that April, 2018 be a month that citizens of the state to recognize and raise awareness of Congenital Diaphragmatic Hernia. Join us in raising awareness on CDH Awareness Day, April 19th, and all month long. 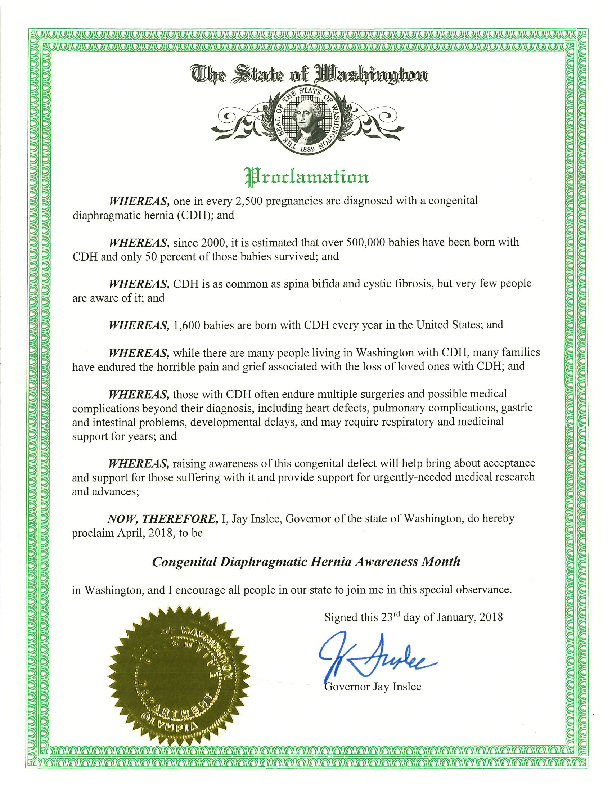 The governor of the state of Washington has proclaimed that April, 2018 be a month that citizens of the state to recognize and raise awareness of Congenital Diaphragmatic Hernia. Join us in raising awareness on CDH Awareness Day, April 19th, and all month long. 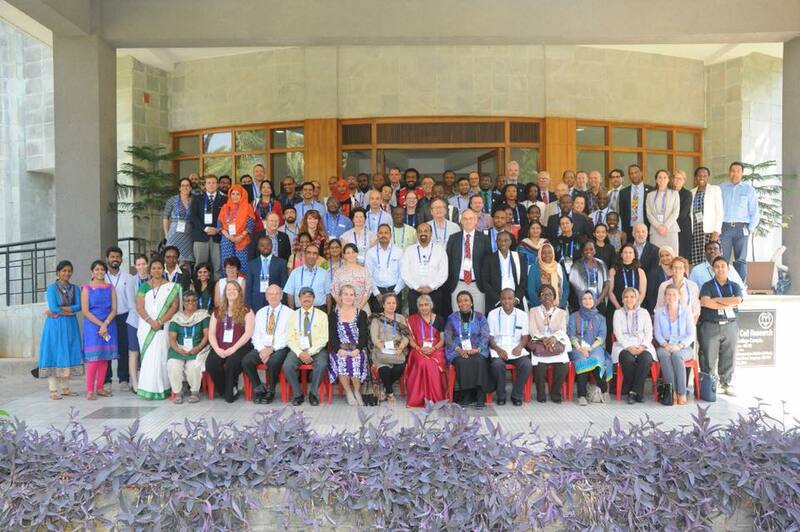 One of the new services that CDH International can offer is writing grant recommendation letters for research centers. We were successful in helping Dr Zani gain a substantial grant to help further CDH Research at Sick Kids in Toronto.